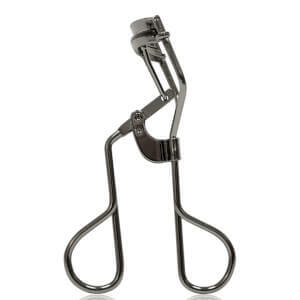 Expertly define and enhance your lashes with Tweezerman's ProMaster Lash Curler. Ideal for almond-shaped and deep set eyes, the innovative tool features a thin top bar and extra-wide opening that lies comfortably against the lid without pinching or sticking to lift lashes from the root with superior control. The hypoallergenic, rounded silicone pads create an intense curl so you can experience professional, voluminous results from home. E.N. For optimum performance, hygiene and to prevent eye infections, make sure to replace pads after 3 months and the curler every 12 months.